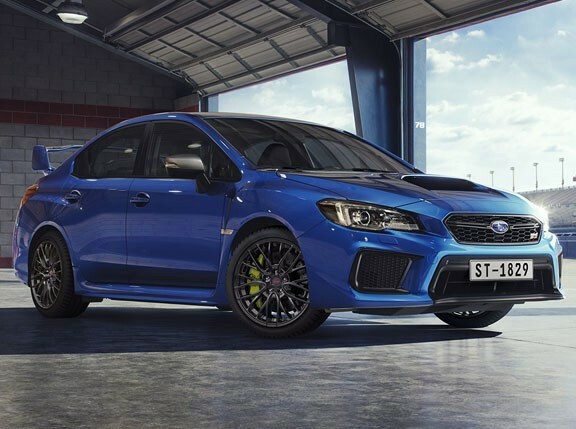 For some reason, Subaru has dropped the "Impreza" name from the car's STI version sometime last year, so the Japanese carmaker's high-performance flagship model now simply goes by the name Subaru WRX STI. Apparently, with so many changes being done to the car, Subaru has decided to make it its own model that's distinct enough to stand on its own. That said, with an all-new Impreza debuting last year, it's certain that the curtains are about to be brought down on the current-generation WRX STI. We spend some time with what used to be Subaru's lone halo car before its replacement goes on sale probably next year. Subarus have always been a love-it-or-hate-it affair. The WRX STI continues that tradition with its very busy-looking front fascia that's highlighted by the large hood scoop for the top-mount intercooler. It's definitely more mature-looking than the pre-face-lift model, which--hard to believe--was even busier-looking with the strake-like design on the fog lamps for starters. 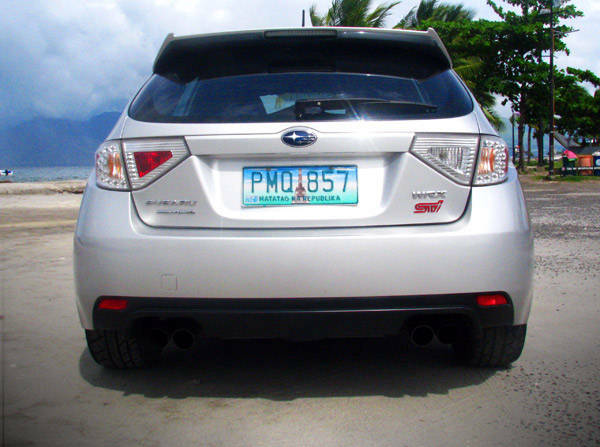 With its front and rear tracks wider than its plebeian brethren, the WRX STI's bulging flared fenders are a necessity. In a way, these add to the car's appeal as they give the semblance of flexed muscles. Out back, the quad tailpipes only serve to enhance the car's athletic nature even further. 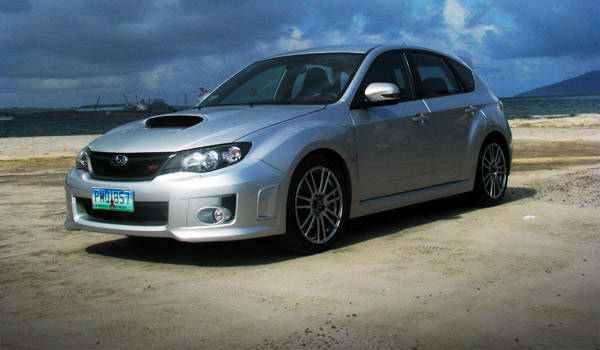 Also, despite the WRX STI now at the tail end of its life cycle, it still earns a stare or two in its stock form. Not bad for a car that's almost five years old already. 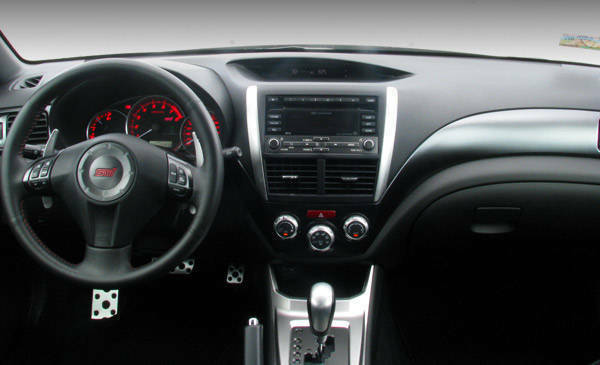 Since the WRX STI is an Impreza on steroids, its interior is practically the same as the regular 2.0-liter car, save for some touches of luxury like the Alcantara-trimmed sport front seats and the red stitching (which continues onto the 60/40-split rear seats), aluminum pedals and faux aluminum trim on the center console. As expected with the car's hatchback body, cargo capacity is limited compared to its sedan counterpart. Nevertheless, it capably handled three large duffel bags--and some duty-free shopping bags to boot--for a lengthy, weekend stay in Subic. 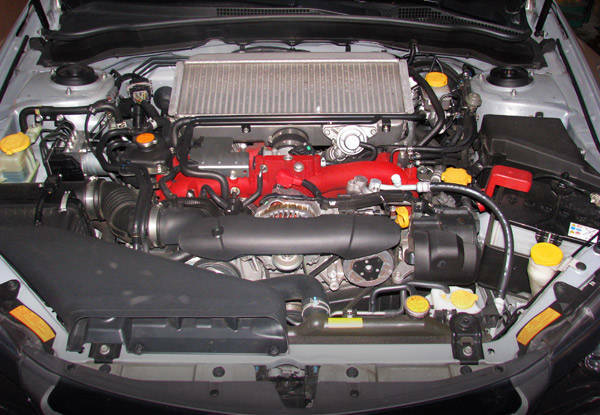 The WRX STI's main selling point is its EJ25 2.5-liter turbocharged flat-four engine. With its torque at 350Nm, it isn't uncommon to see the car's body twist slightly when it is being revved in neutral. And with its power at 296hp, 200kph isn't all that hard to achieve, especially when you know with your seat-of-the-pants dyno that it's capable of exceeding that speed with hardly any effort. Furthermore, despite the prodigious amount of power available on tap, getting 7km/L in the city and 11km/L on the highway is achievable provided you have a light foot. You only have yourself to blame, really, if you get less than the aforementioned figures because it's understandably hard to fight the urge to step on it, especially when you're at the head of the traffic at an intersection and the traffic light turns green. 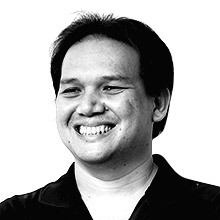 While it's anathema to think of a car like the WRX STI being equipped with an automatic transmission, the parking space known as Metro Manila requires it. As expected of a car with a sporty reputation, the WRX STI is firmly planted on the ground, with nary a hint of body roll when it attacks a corner. The suspension tweaks to the face-lifted model, which includes stiffer suspension and the lower arms with pillow ball bushings, stiffen the ride even more. This will undoubtedly displease passengers who have lower back problems. 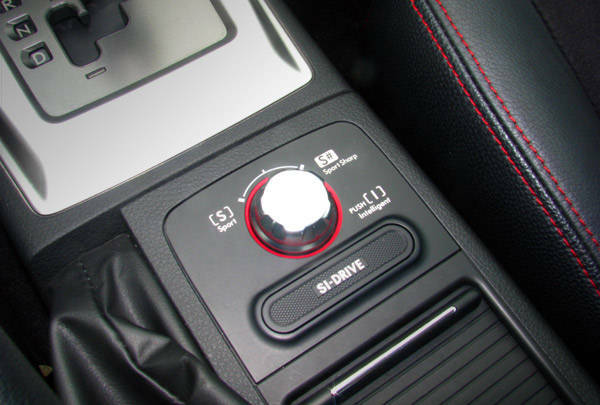 The SI-Drive is a thing of mechanical wizardry. Once you've tried it, you'd wish each car you drive afterward had it. 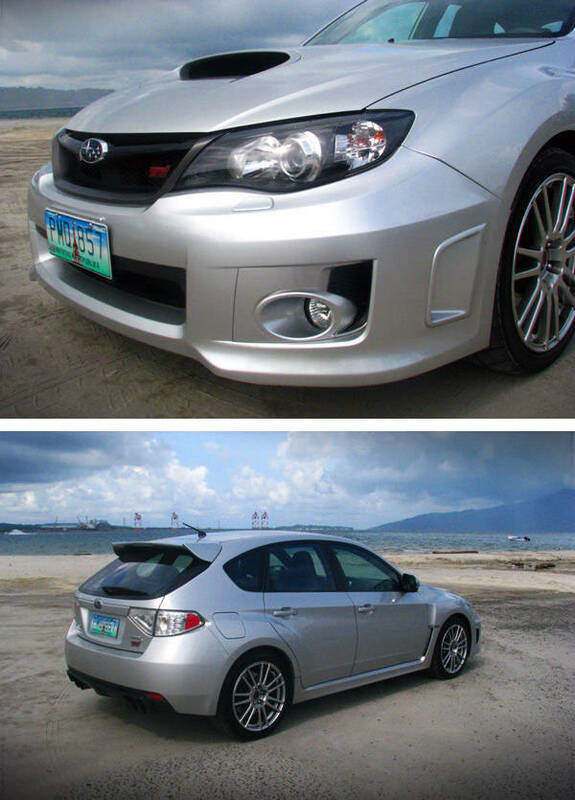 It transforms the WRX STI into three different cars. In Intelligent mode, it's a mild-mannered, gentleman's sports car; the ride seems more forgiving and the throttle output is more linear. In Sport Sharp mode, civility is thrown out the door as it becomes a feral beast whose g-forces push you back into the driver's seat with even the minutest blip of the throttle. For the best of both worlds, the Sport mode seemingly puts the car's capabilities a hairline away from Sport Sharp while keeping everything as calm and collected as if it were in Intelligent mode. The Subaru WRX STI A-Line is the perfect compromise between a fast everyday grocery-getter and an asphalt-tearing track car. One minute it's cool and suave like Tony Stark, the next it's as capable as Iron Man with the push of a button. If you can tolerate the rather stark interior and the firm suspension, and prefer the nimble hatchback body to the traditional sedan form, then there are very few cars on the market right now that can go toe-to-toe with this Subaru.